With Hereford due to play their last Evo-Stik Southern League Premier Division this weekend, supporters have begun to discuss the future. Many are looking ahead to the challenge of the National League North, or South. A few are concerned over the extent of the retained squad, whilst some are discussing the merits of developing the Blackfriars Street enclosure. But in a thought provoking Talking Bull article, Nick Brade considers a return to the name Hereford United. As you read this, our wonderful little football team is still less than three years old. Much like the Queen, we celebrate two birthdays. The club’s birth certificate may say “22nd of December 2014”, but our team only arrived, kicking and screaming its way into this big wide world, some six months later on a summer’s evening beyond the Malvern Hills, to the delight of the two thousand godparents present. Since that day, both team and club have managed to baffle any naysayers, to the point of surpassing even the most optimistic of expectations. 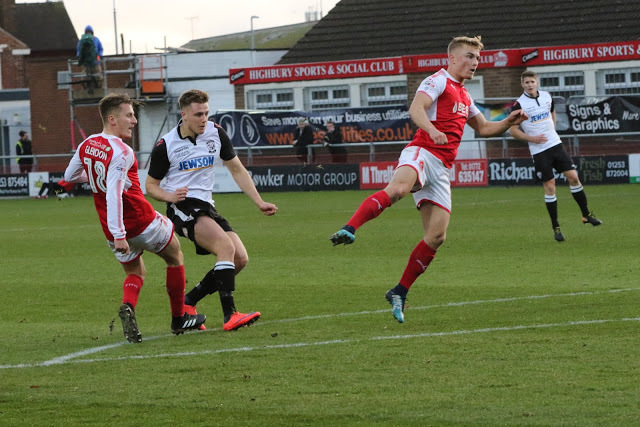 The team’s players may have come and gone quite regularly (the many fine balances between playing lower-level football and leading “a proper life” make it inevitable), but, despite this turnover, a “Hereford style” has been firmly established. So, whilst spectators’ desires for results will always remain high, the great majority of the Edgar Street faithful can understand that the team’s patient approach is often paramount to its winning ethos. On the club side, I can hardly credit how much work has gone into making all aspects of the match-day experience an all-inclusive affair, with a family atmosphere prioritised. The ever-willing band of volunteers are an integral part of making it all tick, both on the day-to-day running and on ad hoc basis, such as the pitch-clearing details. But, whilst everything in the garden is so rosy, I and a good many other fans still wish that this could have been Hereford United taking these great strides forward. The club we grew up with, the club who won us over and let us down, the club who charmed us and frustrated us in equal measure, the club that suffered an undignified, witheringly painful end. The club that couldn’t survive. I always, but always, wear one or more Hereford United items to each game. I would imagine I shall continue to do so until my dying day. It’s not that I don’t have a good many Hereford FC items, of course I do. But whereas the club may now operate under a different banner, the team is still my team, from my home-town, my Hereford, my United. And the players are the latest group of young athletes to whom I entrust my aspirations, and those of my forebears, who would only have known of United, not HFC. 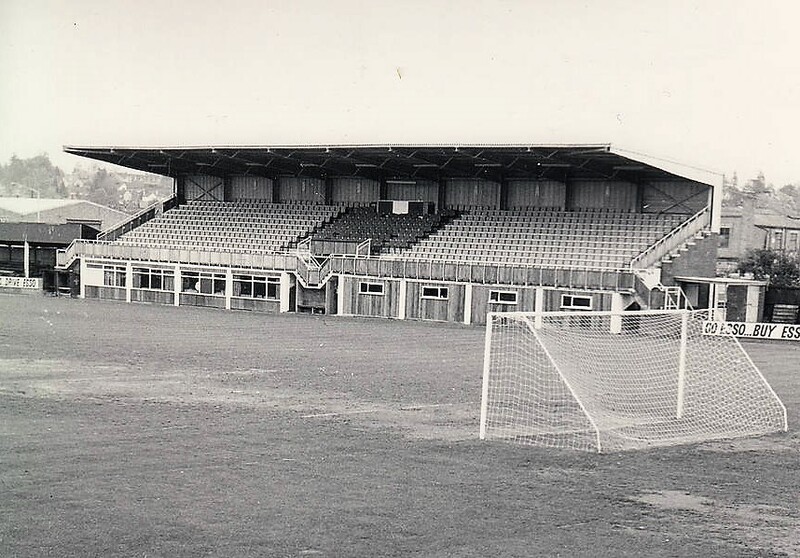 There will, no doubt, be broad and eloquent support for a return of the name Hereford United, when sufficient time has elapsed to make that possible under Football Association rules. After all, many of the songs, particularly “that song”, retain the name, and we all exhort the team on with the name United even when, by definition, our opposition is the only United on the pitch. And, based on the above, you would expect that I’d be counting down the days until the name returns. But I’m not. No. Please don’t change it back. Hereford United, it’s not gone, it’s still there. It’s part of history. It won’t vanish, because history doesn’t vanish. It will always be known and it will never go away. But Hereford FC doesn’t need to grab the name to keep the story going. The current club’s story is still the story of Hereford United as well, the two are unmistakeably entwined. When national media speak of football in our city, they remember United’s passionate anoraked young fans, and our subsequent meteoric rise, in terms of “confounding the critics” and “defying the odds”. The anoraks may have gone, but the young fans are back, watching their own brand-new meteor on the rise, despite its critics and despite the odds. For every story such as “keeper Fred Potter, a fence-erector by trade, certainly built a barrier to keep the Newcastle attack at bay”, we now have a “for Mister Dinsley it was back to morning roll-call at his school” TV report. The old club may have given us the most-watched Goal of the Season of all time, but only the new club ever gave us the chance to witness a prize Hereford bull parading around our National Stadium. 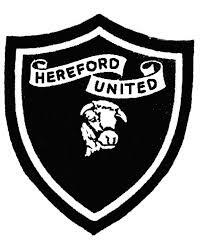 Hereford FC will go on making history, but as HFC, not United. United is very much integral to the current club’s fabric, but that book has now closed. But, as is the beauty of books, you can open them again from time to time, and re-read your favourite passages, or learn something new. And I would implore anyone with a love of our team and club to study the ‘book’ of Hereford United and learn to not make the same mistakes this time. This article first appeared in the latest edition of Talking Bull, the Independent Hereford Football Club Supporters’ Magazine, issue 111 “The Third Summit”. A handful of copies remain available to purchase via our online store.